How to change themes in Ubuntu? 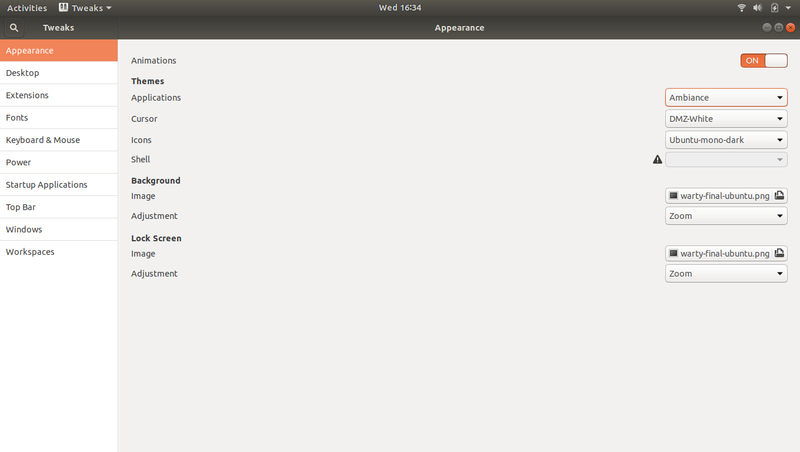 First we have to download a Software called Unity Tweak Tool or GNOME Tweaks according the version of your Ubuntu Desktop. 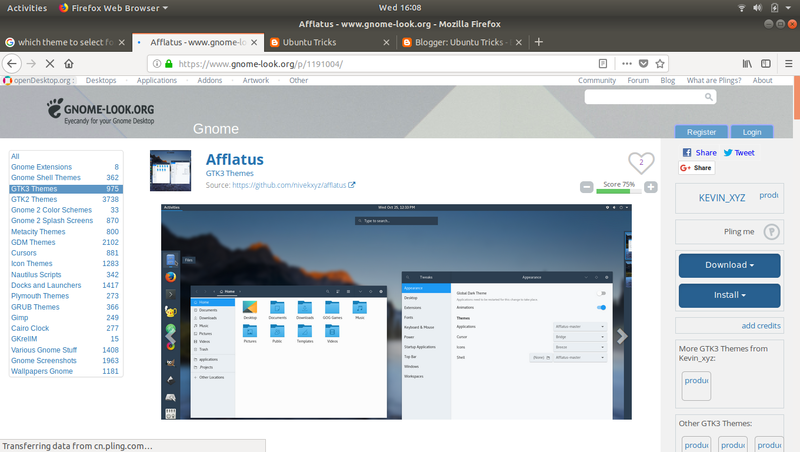 If you’re using latest version of Ubuntu (Ubuntu 18.04 Bionic Beaver or Ubuntu 17.10 ) which is based on GNOME (by defeault ) then you should download GNOME tweaks, but if you’re using an older version of Ubuntu like Ubuntu 16.04 or below then please download Unity Tweak Tool. Both of the softwares can be downloaded from Ubuntu Software Center.Both of the softwares GNOME Tweaks and Unity Tweak Tool gives us some extra options to customize our Ubuntu Desktop like It can install and manage themes and extensions, change power settings, manage startup applications, and enable desktop icons among other settings. 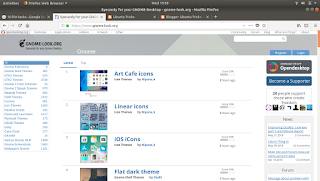 Both of the softwares GNOME Tweaks and Unity Tweak Tool gives us some extra options to customize our Ubuntu Desktop like It can install and manage themes and extensions, change power settings, manage startup applications, and enable desktop icons among other settings. So now we have a software that will help us to change themes. Thereare many ways to download a theme. 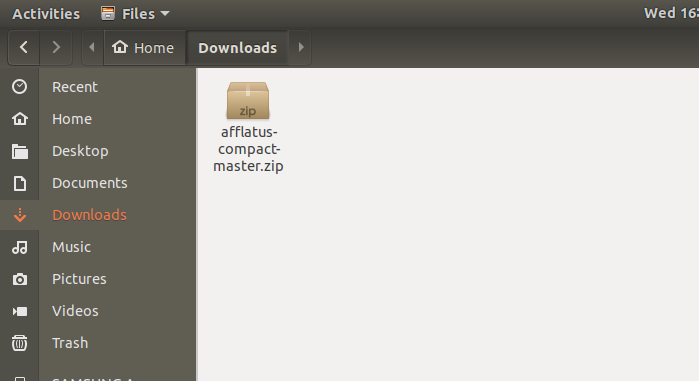 We can download it through terminal using PPA (Eg. 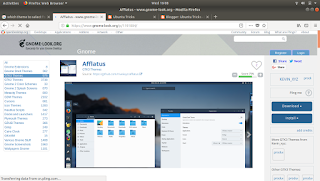 Numix Theme), Ubuntu Software center, 3rd party applications and Gnome-look.org website. In this article we’ll use gnome-look.org website because it is very easy to to download a theme from there and we can also see the reviews and images of the theme before installing it. click GTK3 Themes or GTK2 Themes in the left left side of the webpage. And click on a theme you liked (in my case i am going to download Afflatus). 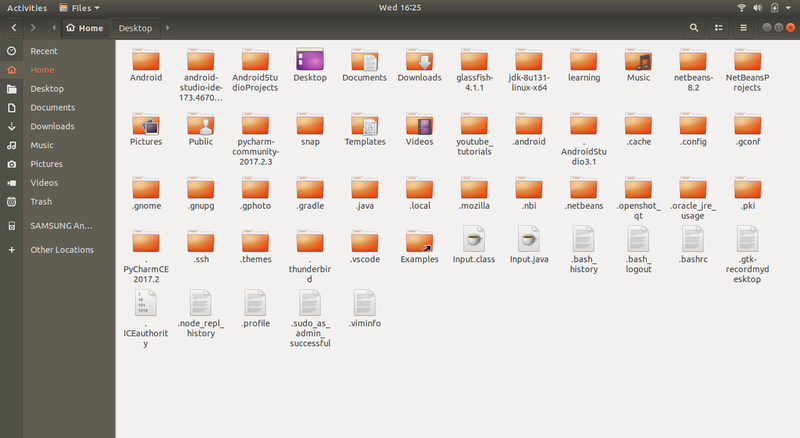 Then click on files tab present below the screenshot of the theme. note- some of download links will redirect you to on there github page where you can clone or download the file into zip. Download it as zip. next we have to create a directory (if doesn’t exists) in the home directory. Open your home directory and press “ctrl + h” to show the hidden files and directories. Look for a direcoty “.themes” in the home directory. If does’t exits then create it. After you have created the directory .themes, go to your downloads directory and extract the downloaded theme into the .themes directory. Now goto your .theme directory. There should be a directory of the theme we’ve extracted. Thats all we have to do. Now open the tweak tool that we have downloaded in starting. Click the dropdown menu in front of themes and select any theme you want to use. Downloaded theme will be there, select it. Thats all. Let us know the name of best Themes you’ve used in comment box. If you have any problem related with this article please comment we’ll reply as soon as possible.